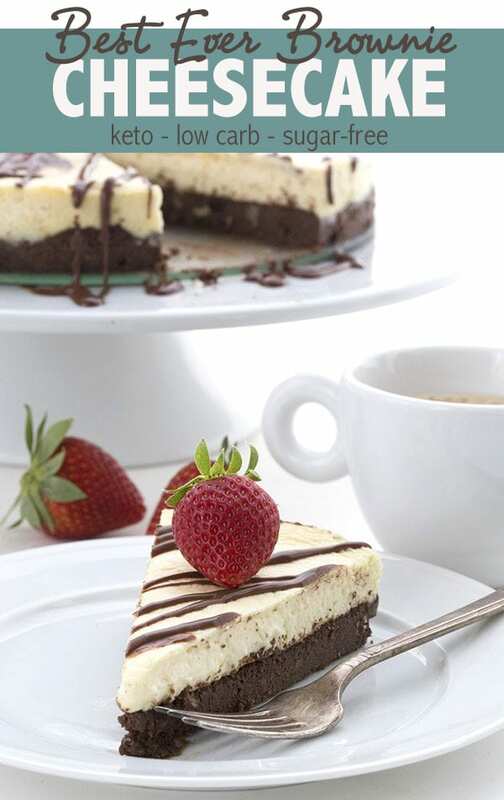 Brownie Cheesecake combines gluten-free brownies and low carb cheesecake into one delicious sugar-free dessert recipe. My famous low carb cheesecake recipe gets a shiny update, with new photos and a how-to recipe tutorial video. This is the best keto cheesecake you will ever eat. Two delicious sugar-free desserts in one! I used to joke to my husband that America’s Test Kitchen should put out a cookbook titled “12 Tablespoons of Butter”. We have several of their cookbooks and we also get Cook’s Illustrated, and I’ve often been struck by the fact that many of their recipes take 12 tablespoons of butter. I’ve always loved my butter, but this liberal use of it in their recipes used to horrify me slightly. This was back in my non-diabetic, non-low carb days, when I bought into the idea that I must use saturated fats judiciously and make do with “healthier” fats like olive oil. Now that I’ve seen the error of my ways, I feel free to use butter as liberally as the folks at America’s Test Kitchen. Perhaps more so, because I now see butter as a healthy part of my daily diet. It adds flavour and makes dishes more satisfying. Maybe I am the one who should put out a cookbook called 12 Tablespoons of Butter! (Hey, that’s not a bad idea….what do you think?). It certainly doesn’t hurt the cause that 10 bricks of Kerrygold butter found their way to my doorstep the a few weeks ago. Hello, lovely friends, won’t you come in and make yourselves at home…in my belly? Seriously, Kerrygold butter is so good. I can happily eat it as is, like a slice of cheese. In fact, I did that very thing at Camp Blogaway last year, when Kerrygold was there showcasing their delicious products. I do believe someone caught me in the act on film. Great. My obsession with good butter caught on camera for the world to see. Ah well, there could be worse things. There is no shame in loving grass-fed butter. 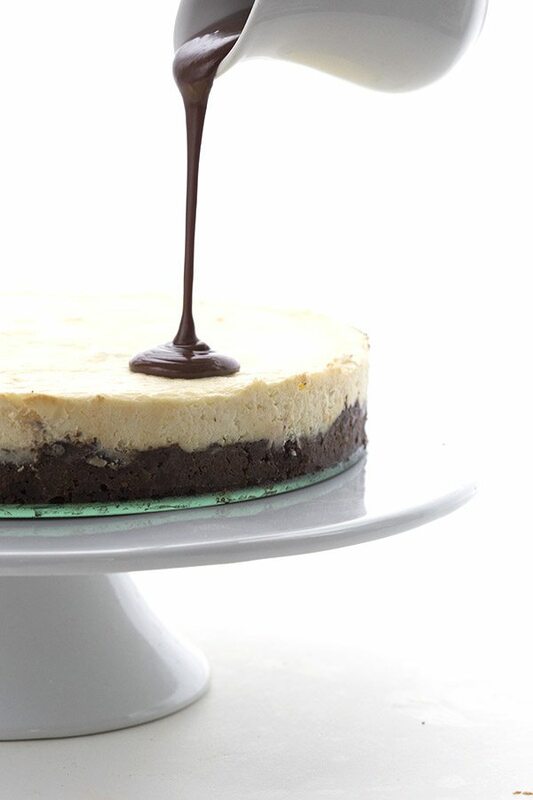 This butter makes this brownie cheesecake recipe spectacular. The only problem with receiving a big package of Kerrygold was what to make first? I asked around on my Facebook page and received so many good suggestions, and I had so many ideas of my own, I was virtually paralyzed with indecision. And then there’s the fact that it’s such good stuff, I almost want to hoard it and not make anything at all, for fear of using it all up and having no more. I finally had to just break through and make something, anything, to get my creative, butter-y juices flowing again. I decided to make a treat I’d set my sights on long ago, a delicious creamy keto brownie cheesecake. Kerrygold butter in a low carb brownie base for cheesecake. How could I possibly go wrong? Since I first posted this grain-free brownie cheesecake recipe in 2013, it’s easily become one of the most popular low carb recipes on my blog. Possibly the most popular low carb brownie cheesecake EVER! It’s a hit with everyone who tries it. I haven’t changed the recipe at all, I’ve simply taken new photos and created a how to video. Also, if you want to make a little chocolate sauce to pour over (as I always do! ), try making a small batch (1/2 or 1/3) of my best Low Carb Chocolate Sauce. So dreamy. Looking for regular brownies? You’ve got to try my Ultimate Keto Brownies! 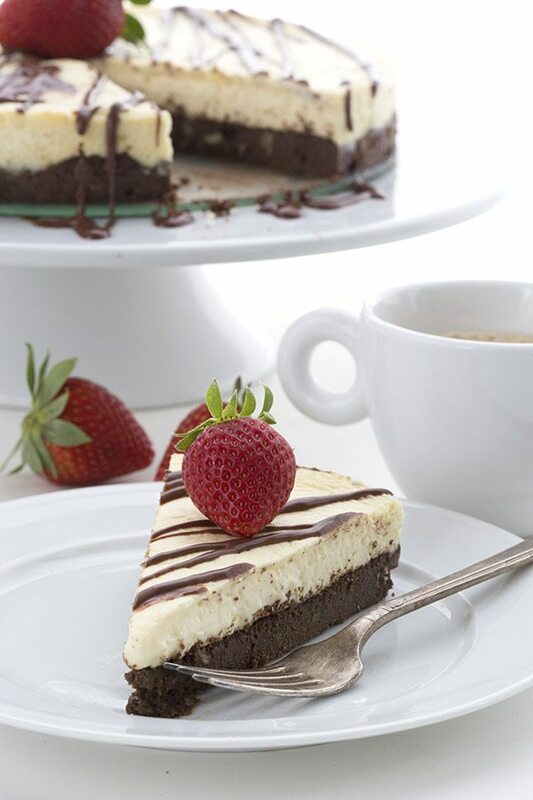 A creamy keto vanilla cheesecake filling atop a rich brownie crust. Two desserts in one! Low Carb and Gluten-Free. Serves 10. Each serving has 6.71 g of carbs and 2.51 g of fiber. Total NET CARBS = 4.21 g.
This looks so delicious!!!! Drooling as I drink my morning coffee. This looks amazing! What’s the calorie count? Thanks! No idea, but there are plenty of online resources that would calculate that for you. What sites would be able to do the calculations? I can’t log it in my app without calories and fat grams! Help? Please? I use software that I purchased for my computer, so I don’t use those websites. But most people use My Fitness Pal. You would have to do the calculations yourself in another program. But it should be very similar. It can last in the fridge for up to a week. I’ve never tried freezing it but I think it would do okay. Freezes wonderfully. Very good recipe. No, this recipe is designed for almond flour and wheat flour does not work the same way. My son is allergic to peanuts/tree nuts. Could I use coconut flour? Not in this recipe, no. You could use sunflower seed flour. Good thing I have to leave for work soon, or I’d be heading out for cream cheese. Have everything else… you and your blog are dangerous, Carolyn! Did you know that I’m obsessed with cheesecake… OB-SESSED! I’ll take it in any form, but, yeah, brownies may be the best. Oh boy. I’ve been craving brownies for the past few weeks. (Even though I did indulge in some sugar sweetened ones on Valentine’s Day.) Think it’s time to make a treat for my diabetic mother and self. Kerrygold butter?! BEST!! This brownie cheesecake?! BESTEST! Hard to believe it’s low-carb. I love your creations! This brownie cheesecake is incredible! Love how dense and fudgy the brownie layer looks! So, if I were to make these in my mini cheesecake pan, any suggestions on baking time adjustments? I didn’t know there was such a thing as a mini cheesecake pan until I saw it on your blog. It’s now one of my favorite pans! Oh boy, I am not sure exactly. For one thing, I think there would be too much base AND filling for those mini cheesecake pans, if it’s like mine (12 holes, all about two bites worth?). If so, then cut the whole recipe in half. Bake the crust for half the time. Then bake the filling for 10 minutes and check it every 3 minutes or so after that. I don’t think the filling will take any longer than my Mini Pumpkin cheesecakes, so maybe follow the timing for that? Thanks! 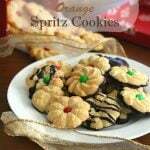 I’ll be making them for a family event this weekend. The mini cheesecakes always get a lot of oohs and aahs! Really enjoy your blog! If you mean the 4 count pans set, this is the basic size recipe to use in those pans. I have had a set for years and love them for dividing amongst the family members! This looks amazing, you go girl!! WOW AMAZING that this gluten free! I’ve been looking into alternate sweeteners and will definitely have to give this one a try! This gorgeous cheesecake looks irresistible, and I love that it’s low-carb too! Low carb and Brownie Cheesecake in the same sentence?! Only you would be so talented to figure this one out. 2 best desserts in one! Sounds and looks so wonderful! I am so intrigued by this recipe! Low carb? It sounds too good to be true! So decadent…. I wounldn’t be able to resist! Oh my! This will be the perfect birthday treat for my husband! Thanks so much! Can’t wait to try this recipe… Yours are the best!! I love butter too, my girls used to say I made them butter sandwiches…. Carolyn, a “cookbook called 12 Tablespoons of Butter”….yes, yes! Great challenge. We, French people believe in butter – yum! 🙂 You are awesome… I am ob.sessed with your great blog! I love Kerrygold butter too, it’s so… buttery! 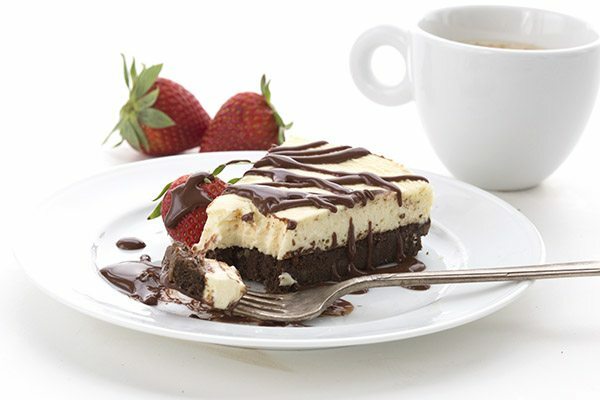 This cheesecake/brownie thing looks amazing, I would gladly take some off of your hands! I saw this this morning (2/21/13) just while I was getting ready to make brownies for my little girl who turns 1 today. I thought healthy grain-free brownies, low-carb for me and I my husband to enjoy too. And wha-la! There you are with a cheesecake and brownie dessert. Did I mention my hubby LOVES cheesecake; oh, and I looove chocolate, and well since she is only 1 she doesn’t know what she loves yet! 🙂 I whipped it up in no time, had everything on hand. Really, truely, a fast recipe. thanks a bunch. Can’t wait to eat it after dinner! Hope you love the taste too! Pinned. I'd pin it 100x if I could! Great recipe! If you publish a cookbook called 12 tablespoons of butter, I will be the first in line to buy it! Your cheesecake looks incredible!! Who doesn’t love 2 desserts in one? Hi, can you let me know the equivalent of Swerve? I live in France and can’t get it (and even googling erythritol doesn’t shed any light). Would xylitol work? Xylitol would work and would be the equivalent amounts. What other sweeteners do you have available to you? I can help you figure out those too. Thanks Carolyn. I can get stevia (just ordered the liquid version, but I can get the white powdered version in the store in small, expensive quantities). And I have a bunch of splenda left over from when my sister brought it for me, but it’s in those little paper sachets and I’d have to open about a hundred to get one cup. And … I think that’s it, apart from the xylitol, which I also have to special order. It is way harder to eat alternatively here. I’ve been gluten free for years and have to make everything from scratch because the store-bought is gross. But it’s only been recently that I’ve started to look into more low-carb and sugar-free. We entertain a lot and I have a reputation for my GF baked goods, which makes me afraid to change and lose the taste factor. (I’m new to your blog, and can tell already that it doesn’t have to be an eventuality), but needless to say the whole process of change is a bit daunting. Okay, so if I were you, I’d go with something like 1/2 the amount of xylitol to the amount of erythritol in my recipe, because xylitol can cause some GI discomfort in high quantities. Then I’d make up the rest of the sweetener with liquid stevia, if you can wait for your order to arrive. So you’d need the equivalent of about 1/3 cup for the base and 1/4 cup in the filling. Most liquid stevias are about 1 tsp to 1 cup sugar (or other sweeteners) so you’re looking at 1/4 to 1/2 tsp for the base and 1/4 for the filling. I detest splenda so I never use it, but you can if you want! You’re a gem – I don’t have to make this til next Friday so I can wait for the liquid stevia. I had NO IDEA how to use it, so I’m grateful for these precise instructions. 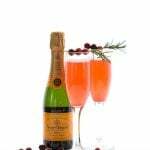 Lady Jennie, I also live in Europe and have a hard time finding specialized ingredients. I haven’t found a way to order Swerve yet, but I can get erythritol, which I prefer to xylitol. If you haven’t looked into it before, try iHerb.com as a mail-order source for erythritol and other special foods. They have very reasonable shipping to Europe and I’ve had no problems receiving their shipments. I have a discount code that I could give out (part of their customer loyalty program) but I don’t want this message to seem overly commercial or promotional. If people are interested I’ll give it in a reply. I have to correct this. Maltitol and erythritol are not the same and should never be mistaken for the same product. For a diabetic, maltitol is as bad as sugar, it raises my blood sugar as much as anything else. Erythritol does not. They are both sugar alcohols but maltitol and sorbitol do not have the same zero carb impact as erythritol. And maltitol is much more likely to cause stomach upset! Made your wonderful recipe yesterday. It is scrumptious!! I made this last night, though I used xylitol and stevia for sweetener. This. Is. Excellent. Sent a piece out to my mother just a bit ago. Enjoying mine this morning with coffee for breakfast. Fantastic! Wanted to clarify… that it was powdered stevia. I’ve never used the powdered. How much do you use? I just made this cheesecake with one substitution: ground hazelnuts in place of the almond flour (it happened to be what I had on hand). What a fabulous recipe! Mine looks just like yours and tastes divine. I’ll definitely be making this again before too long! Wow! Made this cheesecake today and it is crazy good, really!! 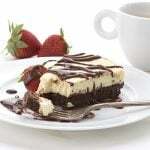 The brownie is moist and rich and the cheesecake soft and creamy. I actually made it in a pie tin in a toaster oven. Great directions, easy to follow and make. Thanks so much, I really needed that ! Made this recipe this weekend – WOW – absolutely delicious! Do you think it’s important to the recipe to use granular sweetener (for the bulk, or whatnot), or can I use EZSweetz drops? If granular sweetener is needed, would Splenda do? Any adjustments? You could probably do EZ Sweets without an averse effect. I can’t guarantee it, but it’s worth a shot. It’s not for the bulk in this recipe…it doesn’t qwhip any higher or any such thing. I am making this tonight for my office’s monthly birthday celebration tomorrow. If the finished product is half as good as the individual batters, my coworkers are going to love me. I did use Swerve this time, but will likely try EZ Sweetz next time since Swerve is just so expensive. Used the last of my Swerve in this recipe. I know it’s expensive. I think it’s good to use most of the time, but do what you gotta do to spread out the cost! First, I am sitting here, saying several OMGs! I don’t think I can resist making that recipe. It certainly will get me past my recent indecision about what I want to cook. And yes! Do put out a book with such a title–and with a subtitle of course. Just made this. Will have to let it cool overnight but can’t wait to dig in tomorrow! Sooo easy to make and a plus I had all the ingredients. Another plus it looks very rich and very filling, which my mouth and tummy will love. Thank you, Carolyn for this and all those other wonderful recipes you post! Just finished making this. Well still in the oven. Couple of questions. When I took the crust out it was still wet and not firm. Is this normal? Also when I took it out at 40 mins the center was really giggly so left it in for another 10mins. Is that normal? I’m sure it will taste good anyway. Love cheesecake. You don’t want the brownie base to be firm after the first time it’s cooked, because it dries out easily. It should be semi-cooked, because it will cook more with the cheesecake filling on top. As for the cheesecake itself, it should jiggle just the slightest in the middle when finished, and as it cools it will continue to firm up. Let me know how it turns out! The center was still really giggle after another 10 mins. I just then turned the oven off and left it in there till it was just a little giggly. If turned out great. My son who will never touch anything I’ve made with “fake” stuff. Didn’t even know the difference. Cheesecake is his fave and didn’t even think to ask if it was real or not. Her thought I made it for him. He loved it, till he knew, but he can’t take back that he loved it. This is a repeater. I wonder why your filling took so long to set? Regardless, I am glad it was a hit, even with your son! Mine took a long time to set also – I was reviewing comments here to see if that happened to anybody else. Soy flour is a lot drier and more absorbent. I’d only use about a 1/4 cup, if I were you. If you can’t find almond flour you can just grind up some almonds in a coffee grinder to make almond flour. Help! My erythritol recrystallized once I put the cheesecake in the fridge. What do I do to prevent that from happening. What brand were you using? It shouldn’t do this at all but some of the cheaper brands are a little dodgy. I used swerve and it did become alittle grainy once in the fridge. I used NOW. I haven’t found Swerve in my area. You would be able to order swerve online. http://www.swervesweetner.com. Thanks! I just ordered the Swerve. I made this yesterday and it was by far one of the best recipes I’ve tried. I did have the same issue having to bake it longer, but it might very well be my oven. I also made a SF ganache and poured it on top of the whole cake and refridgerated it until the ganache set. I am salivating just thinking about it. THANK YOU! I can’t wait to make this, it looks sooooo good!!! This looks wonderful and I can’t wait to try it. All I have and can easily get is splenda. Could you tell me how I would substitute in the splenda? Thank you so much! I don’t use Splenda at all so I really can’t be sure. Is it the granulated Splenda? If so, use it in the same amount I guess. I cannot guarantee the results as Splenda has no bulk whereas erythritol does so it adds weight to the baked goods. It should give it the right sweetness, but I just don’t quite know about the consistency with splenda. Cheesecake usually comes out fine when made with Splenda, although you obviously won’t have the same bulk. Sweetening inherently bitter or sour things is trickier though. You really need at least a tad of some other sweetener along with the Splenda for that, because the sweeteners have a synergistic effect. Again, there would be a bulk issue–and possibly a texture issue. Example of the synergistic effect of artificial sweeteners: I made rhubarb sauce using only Splenda. It was not brilliant-tasting, but rather tasted kind-of flat. I added a bit of stevia, and that improved it immensely. I also read how people keep adding more and more Splenda to unsweetened chocolate but still find it bitter…. Carolyn, Thanks so much for your reply. After reading through several of your recipes, I believe I’ll just have to order some of these other sweeteners. Tell me if you will, what different sweeteners do you mostly use, and what brands. On the swerve brand, how many cups will I get out of a bag? Is there another brand that will be just as good and possibly cheaper? Quick question- would it be possible to sub coconut flour for almond flour? I have used almond flour before, but not coconut. Wondering if the consistency would be any different, and if I would have to use more/less of it. The reason I ask is that I actually have coconut on hand, but not almond! Thanks for the recipe, looks delicious! I think you probably could, but you will only need about 2 tablespoons of coconut flour, maybe even less. It absorbs a lot of liquid. If you put it in and find your batter too thick to spread, add a tablespoon or two of liquid, then add a little more until it’s thick but still spreadable. I read through all the comments – and got a ton of tips! I have everything on hand – and therefore will be making this TONIGHT! I’ve always hesitated on ordering some Swerve because of the price – I can get NOW Erythritol at my local health food store, but I wondering if the taste and texture is the same? Anyone know? And Carolyn – what brand of Almond Flour do you use? I know it’s different from Almond Meal, but with all my low carb cooking, most people only use Honeyville. Thoughts? Just made these today- hands down my favorite keto dessert. A bit of effort but totally worth it. Just to note, I did cut the sugar in half for the cheesecake part, and feel like when I make these again I’ll cut the sugar in half for the brownie part as well. I can’t stress enough though how delicious these are- the slices are big enough where you feel like you’re actually eating a dessert. Thanks again for posting this, it will stay in my go-to dessert making file! I love your website and appreciate all the yummy recipes. I have question about the Brownie Cheesecake recipe. I used granulated erythritol (Emerald Forest) in both the brownie and cheesecake part of the recipe. The texture of my brownie was like dry fudge and my cheesecake was quite dense. Also, you could feel the texture of the erythritol between your teeth in the finish product. Overall it is a nice recipe but is this the typical texture for this recipe? Thank you for your help. No, it’s not typical at all, it should all be VERY creamy and smooth. I have heard some suspect things about Emerald Forest and so I think it’s the erythritol you used. I know it’s among the cheapest but I don’t recommend it at all. Hi Carolyn! So excited to try this! Can you tell me where you get your powdered erythritol? I live in Canada, and I’d like to get some to experiment with, but I don’t want to pay through the roof for shipping. I’ve read that you can take granulated erythritol, and place it in a food processor to make powdered erythritol. I’ve heard that too. it will inevitably be somewhat grittier but it’s worth a shot! I used granular and it wasn’t gritty although I’ve had that happen in other recipes. Oh my! Wickedly good and totally decadent. ! I made this for Easter dinner with extended family. It was a huge hit! No one had any idea it was sugar and wheat free. Thanks for a great recipe! Hi Carolyn. I have a couple of questions. Is the butter unsalted? I used stevia for baking and neither the crust or filling was sweet. Should I have used more sweetener? I almost always use salted butter but I don’t think it would matter for this. And I can see stevia alone not being enough sweetener. Do you have anything else at hand? Do they have Truvia? That’s erythritol with a little stevia in it. They do! Should I mix the two or use ALL TRUVIA? I’d mix the two…Truvia is expensive and stevia is less so. I’d do 1/4 cup Truvia in the cheesecake part and then make it more sweet with stevia (do you have the liquid or the powder? If the liquid, I’d go with 1/4 tsp). For the base, I think you could go as low as 1/4 cup Truvia, and make up the difference with Stevia but you want it to be sweeter so the stevia would have to be more. Maybe 1/2 a tsp? Carolyn I bought stevia in the raw in the baking form. So I used it “apples to apples” and that didn’t work. Do you know how 1/2 tsp of liquid would compare to “ounce measurements”? Okay, I’ve had the stevia in the raw before. I’d go half stevia, half truvia for the recipe, but maybe you like things a bit sweeter than me so throw in an extra tablespoon of Truvia for good measure. Great thanks for all your help. I can’t wait to try it again! Okay ignore my last comment to you…I meant to be responding to someone who had trouble with a different recipe. Sorry! You said one cup of Stevia equals one cup of sugar? What kind of stevia are you using? If Stevia in the Raw, which is supposed to measure cup for cup like sugar, I would normally say do the exact same amount as Swerve but another reader found that it wasn’t sweet enough when she did so. So you may actually have to increase it. If you want to use sugar, just go ahead and add in the same amount as Swerve. Ok, I am going to try it like that and use the same amount =) Thanks for the recipe and the respond! =) great website! I finally tried this, and it’s amazing! The bottom of the brownie turned almost black, but it doesn’t taste burnt. I think I just need to shorten the baking time of the brownie part. Since I don’t have Swerve, I followed your advice to combine different sweeteners (I always do now). Here I used 2 Tbsp of xylitol, 4 drops of liquid Splenda, two Splenda packets and 3 tsp of stevia. The cake is plenty sweet. I just love the thought that I’m just eating cream cheese, eggs, nuts, butter and chocolate. This is going to be my breakfast this week! Sounds like a great breakfast to me! Sorry the brownie base darkened so much…I wonder if your oven runs a bit hot? It’s not the most consistent oven, and I still have to get the rack setting right. I’ve been baking on the middle rack, but probably have to go higher up for some things. Thanks for the wonderful recipe! Made this for a friend’s birthday this weekend! No one could tell it was low carb! Thanks for the great recipes. In place of the Swerve in the brownie base, I used 20 drops of the concentrated EZ Sweetz (where one drop = 1 packet of Splenda). In place of the Swerve in the cheesecake top, I used 12 drops of the concentrated EZ Sweetz. I also baked it in an 8×8 square pan and lined the pan with Reynolds pan lining paper (foil on one side and parchment on the other) so I was able to lift the whole cake out of the pan and cut it into 16 squares of about 2-3 carbs each. I found that the brownie base was a little bitter, but that the cheesecake was perfectly sweet. In the future, I might try springing for the Swerve in the brownie portion, but going with the EZ Sweetz for the cheesecake. The base was bitter because you cannot use sucralose alone to sweeten things that are bitter or sour (if you want a good result). You need to add a bit of another sweetener along with it. The reason why Swerve works is that it contains both erythritol and oligosaccharides. As you have observed, sucralose does fine alone when the ingredients are neither bitter nor sour. Those sound like good modifications. I think sometimes things like EZ Sweetz don’t combine well with chocolate (stevia doesn’t either). Do you have the nutritional information for fat and protein as well for this recipe? My wife follows a keto diet for health reasons and I want to make this for her. Thanks! Not offhand, but I can calculate it quickly for you. Hang tight! You’re awesome – Thank you! I will definitely be following your blog now that I’ve found it! I am going to make this tomorrow(and we don’t have Swerve on the east coast that I could find), and in reading through the comments, I had a question on the sweetener… Can I just use the equivalent (in both base and filling) of liquid stevia? Or should I get/use some granulated sweetener as well (stevia, truvia, splenda etc) ? Thanks! One reader tried all stevia and found it bitter. Stevia on its own with chocolate tends to produce this result. I’d do at least some truvia, if not the full amount of Truvia subbed in for the Swerve. I really don’t work with sucralose at all so I am not a good resource to say how to sub in Splenda. Hope that helps! Thanks Carolyn – I picked up the granulated Truvia so I will go with that! I made this Friday night and its gone now… I will definitely be making it again and making more of your recipes… it was really good! I’m gluten free and my boyfriend is keto… it’s great to find recipes that work for both of us. Your site is amazing! He says that low carb sweets aren’t worth making or eating but with a few of your recipes, I’ve finally changed his mind! I made this for a gluten free/keto friendly 4th of July dessert and it is amazing. So amazing that I had to come comment. We couldn’t resist sneaking a tiny piece tonight… but I’m sure our friends and family will love it too! I thought I messed up for sure – my batter wasn’t smooth, I was nervous to pour the filling on (the base was gooey and moved when I did), and my filling still had some chunks of cream cheese… but it turned out great! I think this is my new go-to dessert for events. Thanks again! So glad it worked! Yes, the base is still almost not cooked when you add the topping, because otherwise it’s too much cooked after they are baked together. I am so glad you just mention the base would still be gooey when the topping was added. Mine is in the oven right now and it is a a birthday cake for someone today. I was so worried I did something wrong with the base. Hope it comes out as good as your’s looks. Thanks for the recipe! It turned out nicely. Just sharing some notes… I melted the butter and chocolate together in a double boiler and adjusted the cheesecake balance to have some sour cream because I enjoy the texture and feel that sour cream cheesecakes whip better in my experience. I tried it with Stevia in the Raw (maltodextrin + stevia extract), and found it was not nearly sweet enough. This has also been the case with my Stevia in the Raw in general, so it might be me. Finally, I didn’t have a springform pan so I used a one-piece and lined the bottom with butter and then parchment paper. I buttered the sides and ended up using a butter knife in conjunction with squishing the sides of the pan to help release it from the side and inverted the pan, heating the base slightly, to get the cake out. Great recipe! Hi Steven. Others have said that stevia alone doesn’t sweeten this enough so I think it’s not just you! I made this last night and had a piece for breakfast this morning (Shh)! I CAN NOT believe I’m eating something THIS good and losing weight!!!!!!!!!! After the first bite I had to override my brain’s alarm bells telling me this has GOT to be messing up my carb count for the day! Is it ok to lick the plate at the end if no one’s watching? Amazing, amazing, amazing!!!!!!!!!!! And it really wasn’t that difficult to make. I was worried about that, I’m a homeschool mom of 4 so I get distracted 50+ times while cooking. Thank you & God bless! Fantastic, Lisa? And I personally lick the plate even if someone’s watching. Oops! I have question about replacing the sweeteners in this recipe. I would like to replace the Swerve and erythritol. I use raw local honey as a sweetener and has always been my favorite sweetener. I have never used stevia and would be willing to try it in this recipe. I enjoy coconut products too and would be willing to use coconut/palm sugar too. Would I be able to use any these alternative sweeteners (use one or combine them) in this recipe? I don’t want to destroy this delicious recipe, but just curious to alternative sweeteners not mentioned. I thought about just using the liquid stevia, if at all possible. I apologize. I know you have receive many questions about the sweetener used in the recipe. I look forward to making this dessert either way! Thank you! Just stevia won’t work, several people tried and found it not sweet enough. But I think you can replace the erythritol with honey and make up the rest with stevia. It’s very moist anyway, so the liquidity of the honey shouldn’t make much difference. Maybe add another two or three tbsp of almond flour to the base to make up for the liquid. I will try doing that! Thank you so much! Well I had almond meal instead of almond flour but that was the only difference also my springform is about 10.5″… All of your recipes are gorgeous and so inspiring! The brownie part of mine didnt cook solid and when I added the cheese mix it just sank down. I follow the directions to the t so I guess I’ll try again 🙂 next maybe the lemon mini bundts! I did make the taco endive boats what a hit! That’s a new favorite for our family! Thanks for your reply too! I can’t wait to explore more of your delectable treats!! It’s the almond meal! I know it doesn’t seem like a big difference, but it is. Check out this post I wrote about baking with almond flour. https://alldayidreamaboutfood.com/2013/02/low-carb-basics-baking-with-almond-flour.html That’s definitely your culprit, and I am sorry about that. Almond meal is just bigger particles so it isn’t as cohesive and doesn’t hold together nearly as well. And we made the pancakes this morning- superb! It was the first “real” breakfast we’ve had since going low carb 2 months ago! Do you think I could sub the almond flour and nuts for coconut flour? I’d love to make this but have a niece who is allergic to nuts, it seems a bit cruel to make something she can’t eat! thanks. Hi Olivia…no, in this recipe, coconut flour won’t really work. But see my recipe for Brownie Donuts…take that brownies recipe for the base and you’ll be golden! I made this a few weeks ago and froze most in small portions for that “fix” we all get on occasion. Its wonderful!!!! Thank you so much! any clue as to the calorie count? I will make it again soon and do the math but was hoping to share it tonight for others doing more of a calorie counting diet. So ready to try your other creations….keep up the great work! Sorry, I am not at home and can’t calculate the other nutritional factors. I will be back next week. I really loved this dessert. Almost too much. I had a hard time getting my binge tendancies under control. I baked the brownie part and let it cool a few minutes and when I poured the cheesecake mixture on top I realized that the brownie part was not solid and the 2 mixtures got just a bit mixed together. I also needed to bake the brownie / cheesecake about 10 minutes longer and could have even baked it a bit longer. Terrific flavors. I put this in my recipe folder with 5 stars. I ordered Swerve online to make this recipe. Was I supposed to cool the brownie layer before pouring the cheesecake layer? I don’t have a cheesecake pan so was/am trying to make it in a regular pan…..
No need to cool the brownie layer. I am not sure if you will be able to get these out of the pan that easily though, without removable sides. I made these in a regular cake/pie pan. I just put non stick foil on the bottom and you can gently lift the cake out when it’s done. 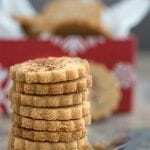 If I didn’t want to make this low carb or gluten free, would I substitute the same amount of sugar for the sugar substitute and the same amount of all purpose flour for the almond flour? Looks delicious and I can’t wait to try it! No, you can’t just replace almond flour with regular flour. I’d suggest finding a conventional brownie cheesecake recipe. I know Roxana’s Home Baking has a good one. I hate the taste of Stevia and I don’t have erythritol. Do you think I could use xylitol exclusively, and if so, do you think I could sub it 1-1? Thanks!!! I think you’d probably need a bit more xylitol to get the right sweetness. Maybe another 1/4 cup or so for the filling? This turned out beautifully! Thank you so much. I just stumbled across your site while searching for low carb pancakes… I’m making the coconut flour ones tomorrow morning, then I started browsing and found this. Thank you, I am really fighting hard to lose weight and stick to a low carb low sugar diet and I can’t deny my sweet tooth. Not to mention cheesecake is my favorite and when you put it on top of a brownie! * Mouth watering * I am making this recipe tonight, your site was an answered prayer! Hi Krys…I too have a big sweet tooth and making sugar and gluten-free sweets is how I stay on track and keep my blood sugars in check. So that’s why I do what I do! This recipe looks awesome!!! Is it alright if I use ground almonds in place of almond flour, and leave the walnuts/pecans out entirely? The results may change if you use almonds you grind yourself, but it’s worth a try. Can I sub coconut flour for the almond flour and leave out the nuts? We have severe nut allergy here but this looks so fantastic! Sugar alcohols give me headaches. Can Stevia be used? If so, what’s the conversion? I don’t know if the consistency of the brownie base will be right with just stevia. However, the Swerve measures cup for cup like sugar so use stevia in the equivalent of sugar. when I poured the cheesecake batter over the brownie layer,they mixed together and now the top of my cheesecake is brown &white …I’d like to know what is my mistake? Sounds like your brownie layer was a little too undercooked. But even so, if you pour carefully enough, it shouldn’t have been a problem. Thanx first of all for all the inspiration and great recipes! I wanted to ask permission to link this page to my instagram acount (thetasteofyellow) as I succesfully made this deliciousness! This is so unbelievably good. My only gripe is that my son ate the last piece, even after he promised to leave it for me. So, this is a no holds barred dessert, and I am going to have to get crafty if I want that last piece. Made this for a dessert contest at work and it got 2nd place in the pie category! (i just don’t consider cheesecake to be cake). It would have gotten 1st place, if not for the gorgeous apple pie that looked like it should have been sitting on the window sill of a cottage in a Disney movie. Not only did I win a $10 gift fard, but my diabetic and celiac coworkers got to have dessert! Thank you so much for this recipe. I love it and I love that it is healthy but tastes so unhealthy! Sweet! Now I can call it “Prize Winning Brownie Cheesecake”! I use toasted hazelnuts in the brownie crust (quite a lot) and it’s so good it’s coming with us to our family Christmas get-together. I’m not sure if it’s my oven (we just moved in, and I’m still getting used to it) but the brownie crust seemed very soft and underdone, and when I added the cheesecake mixture, it seemed very wet on top. Did this happen to anyone? I’m so afraid it’s not going to be done, baking at only 300 using this oven. How did it turn out? Ovens can vary a lot but as long as you continued to bake it, you should have ended up with a decent result. It came out great! The brownie turned out a little dry on the first one I made, but will figure out this oven eventually. Amazing that it’s sugar free! I will also try this cheesecake with a ground walnut crust–walnuts, butter, and a little bit of lime zest. I’m going to try this one tonight. One quick question. The recipe says: “Wrap bottom of pan in foil.” Does this mean you wrap the outside with foil? I would assume so, otherwise the brownie batter will stick to the foil, but just want to clarify. Also, is this step strictly necessary? I wonder if some of the people who got an overcooked brownie batter forgot to wrap theirs in foil. Yes, wrap the outside of the pan. as for under or over cooking, a lot of that can do with variable oven temperatures. Many ovens run too hot or too cold! I just started making this. After baking 15 mins, I took the crust out and poured the cheesecake batter on it. But, it wasn’t firm enough and the cheesecake sunk into the crust! Argh. Is there any way to rescue this? I’ve popped it into the oven now because I don’t want to throw it out. Any ideas? Right. I think the point is that you make the cheese filling while the brownie base is cooling because it will firm up as it cools. I am going to amend the recipe to state that. It didn’t occur to me that people would try to pour the filling over top of the base straight out of the oven. I think the key question is whether 15 mins of baking is enough? It was difficult to know how much it would harden after cooling when it came out of the oven because it was fairly soft. Only the very outer edges were slightly firmer. It absolutely is enough. The whole point is that it continues to bake when you return the whole thing to the oven. Otherwise you will get a really tough base at the end and it won’t be alike a brownie at all but like a crust. This is the ultimate dessert for me! Brownie + Cheesecake = heaven. I made this last night. Although I did not wait for the brownie crust to cool before pouring the cheesecake in, the end result was a nice surprise. It turns out the half-baked brownie ends up getting pushed to the side and the cheesecake goes in the center. So you actually end up with more of a true crust as opposed to a second layer. And it’s absolutely delicious!!! The only thing I changed was to use slightly more sweetener, but that is just a personal preference. I used 1 cup for the brownie and 3/4 cup for the cheesecake. This recipe is truly ingenious. Thank you so much for creating it, Carolyn! Thanks, Andy. Glad it turned out despite the weird crust situation. I made this for Christmas and the taste was delicious, but the crust was a little too thick, dense, and dry. The cheesecake part of it was to die for! I used Z Sweet (granulated erythritol, like Swerve) and amazed how it tastes the same as regular sugar. Next time I’ll make the crust much thinner. I also want to try it with a pie crust made out of ground walnuts, butter, and some lime zest. Thanks for a great recipe! Thank you so much, this was absolutely delicious!!! I used Splenda for baking and it turned out great. Thanks for calming my sweet tooth!!!! Hi there, I am right about to make this delicious brownie cheesecake! 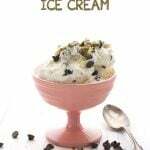 thanks so much for this post, it’s great knowing that there are low carb desserts like this! I have a quick question… I am not a big fan of nuts and was wondering if it would make a big difference if I chose not to use them. I also wanted to know if I could use an aluminum foil 9″ fairly deep pan instead of the springform pan as i do not have one. Leaving the nuts out won’t affect this recipe at all. You can certainly try the regular aluminum foil pan but it may be very hard to release the cake in one piece. Thanks for this delicious recipe. Like some commenters I also live where erythitol is not available, but substituted liquid sweetener drops with no harm done. We also have no almound flour here, and so the home-ground almonds I used instead gave the crust a crisper character than the cakey deliciousness pictured. Still, delectable. Topping it with fresh berries for a Valentine’s Day treat! I made this today using xylitol. My brownie base was still very wet after 20 minutes, but I let it cool and then poured on the cheesecake. I think it mixed a little at the meeting point but seemed to mostly stay put. However, my cheesecake was still very clearly underdone after a good 50 minutes at about 320 — only the outer 1″ or so was set. I had to take it out then since I was already running late (I’d expected it to come out of the oven 10 minutes before, leaving it to cool in the pan while I was out), and I hoped it would set up enough while I was out for several hours. Well, I got home and when I tried to take off the springform ring, the whole thing just ripped apart and it was clearly still just liquid inside — the brownie base and the cheesecake. Not just ‘a little gooey but still edible’ — clearly just Not Cooked. Yes, but most cheesecakes also take 3 to 4 packages of cream cheese and more eggs, so this is scaled down as it should be. I am going to guess it was the xylitol that was at fault here, since most people haven’t had trouble with this recipe, nor have I. But ovens also run at different temperatures, that’s why baking times are only ever guidelines and usually also say “bake until it looks like x,y,z”. You have to be the judge of how “done” it looks when it comes out of the oven. Also, the reason I think it was the xylitol that was the problem is that xylitol holds moisture better than erythritol does. So that could seriously affect the outcome of the recipe, making it “dry out” a lot less quickly in the oven. I don’t believe xylitol is the problem here. I’ve made this recipe with xylitol and the cheesecake turned out fine. 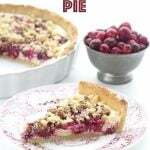 In fact I have made several cakes, cheesecakes and pies with xylitol and they have all baked fine. I think this is simply a matter of oven temperature. The recipe says 325 for the oven, not 300. So that might be one part of it. Best to use a thermometer to measure your oven and if it’s not done in 1 hour, it needs to be hotter. The cooking time should be used as a guideline, not an exact time. Actually the recipe says 325 for the brownie base, but then it says “For the filling, reduce oven temperature to 300F”. I understand completely about oven temperatures and variability. In fact, I know that my oven is generally 5-10 degrees below and I compensated for that. And normally I would have left it in until it was done, but as I said, I was already running late and couldn’t leave it in any longer. I did put in back in the oven at 325 later that evening. It was in there close to another hour — so probably the equivalent of another 20-30 minutes if it had been left in for the original baking period, making a more ‘usual’ 1hr15 cheesecake baking time. Yes, this is only a 2-package cheesecake, but there is also a layer of brownie that is baking at the same time. That adds baking time so it’s not just a straight reduction in cheesecake baking time relative to a 3-pkg cake. After my extra baking time, the cheesecake was beautiful but the brownie was still a little gooey in the middle — and remember I’d already had it in for 20 minutes, not the stated 15. I think next time, I’ll do a full 25, and then keep the temp at 325 for the cheesecake. It’s definitely yummy and worth the effort to tweak it! Many people bake with xylitol and I’m not aware of any problems with things taking twice as long to bake. It’s supposed to work just like regular sugar. Since there are quite a number of people in the comments having similar problems of underbaking in that given time, I can’t help but wonder if it’s actually the recipe author’s oven which is the one that’s off (ie, running hotter)?? Yes, many people bake with xylitol. I have worked with it too and I have seen first hand how it holds moisture much better than erythritol, which is far less hygroscopic. I’ve made exactly the same glaze with both erythritol and xylitol and noted that the xylitol glaze was wet and wouldn’t firm up, whereas the erythritol glaze becomes thicker and hardens much faster. Neither xylitol NOR erythritol ever bake “just like regular sugar”. And they don’t bake similarly to each other, either. They have very different properties and we as low carb bakers must take that into consideration. So when I write a recipe with a particular sweetener, I simply cannot guarantee the results with anything other than what I made it with. Many readers make substitutions and don’t mention what they cooked with. For example, if someone used almond meal in place of almond flour, it changes the consistency greatly. It is very true that some people have had trouble with under-doneness, and it is also true that many more have made this recipe exactly as written and have had no trouble at all. Since I myself have made the recipe several times, I stand by it. And while it’s possible that my oven runs hotter, this is again why recipes such as this one give out not only time, but guidelines that suggest how to tell it’s actually done. I am sorry you had this difficulty but again, I think there may be something such as the xylitol that contributed to it. I just had one more thought, this time about baking pans. Mine is 9-inches exactly in diameter but many are only 8 inches, which makes the ingredients deeper. Also, mine is the very dark coated kind, which can help bake things faster. Now this makes me think I should make notes of that and give perhaps a wider range of baking times. Sorry, Andy, I somehow missed your comment when replying to Heather. That’s good to know, but she is correct, it does state 325 for the brownie crust and 300F for the cheesecake. So could be oven temperature or some other factor we are missing here. For many folks, I’ve gone back and forth with them and discovered that they were using almond meal, not true fine almond flour. That can make a huge difference! Andy also says “if it’s not done in an hour”, but the recipe says “35 to 40 minutes” for the cheesecake portion. 40 minutes become an hour is a whole 50% increase in time, more than what seems to me to be a ‘normal’ range of variability. I can’t help but wonder if many of the successful commenters actually cooked longer than 40 minutes but didn’t happen to mention it? I don’t mean to harp on it, again it’s a delicious recipe, and we’ll see what happens the next time I make it — it just seems so much more ‘off’ than usual baking variability. I’m not willing to bump up the temp to 325 or higher because cheesecakes are prone to cracking a lot when baked higher. Good old America’s Test Kitchen taught me that much. They are also prone to rising too quickly and then sinking. The glass bottom may be an issue here, but I sincerely think that xylitol plays a part because of the way it holds moisture compared to erythritol. Sugar holds and attracts moisture better too, so if you were to use erythritol, it might make a difference because it might “dry out” faster. I know Andy said it didn’t for him, but I do suspect it may be a contributing factor, at least a little. I will change the range of time, though, perhaps even up to an hour, to accommodate, but I think I will say “start checking at 35 minutes” because mine was most certainly done in the 30 to 40 range. I’m using a glass bottomed pan too and I did not cook longer than the 40 mins. 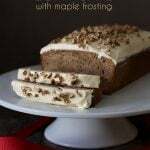 I am so happy to see someone with gluten free recipes on their sites. It is unusual to find those and I just have to guess at what gf flour mix to use. I love having the whole recipe! Thanks for thinking of those who are wheat challenged! You’re welcome. I don’t use pre-packaged GF mixes for the most part because they are too high carb for me. So the majority of my recipes go to the basic ingredients. SO SO SO YUMMY!!!! Saved me from “going” off the low-carb wagon to cheat on dessert. Husband and 10 & 13 year old sons LOVED it too. I used Truvia in place of Swerve because that’s what I had on hand. Carolyn, Thank you! 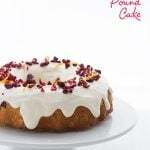 This recipe is divine! I am in South Africa, wedon’t have many of the sweetener brands you mention. I used a combo of stevia and xylitol and it turned out really delicious! Also made a raspberry coulis which topped it all off. My husband and two girls devoured the cake! Hi. I was enticed by your brownie cheesecake and I tried it. It was really good and my kids even like it. However, I have a question with the nutrition facts, or the macros, at least. It looks like it was only the carbs content that was posted there, if not, then the rest of the facts are probably hidden somewhere. I would like to know how much fat and protein there is in the cheesecake or per serving, for that matter. On another note, why is the net carb 4.1? We only subtract the fiber (half) from the total carbs if the fiber content of the food is more than 5 g. I’m a strict keto dieter and am feeling so deprived of carbs. Recipes like this are like answers to my prayers! Thank you so much. I love the recipe and I think I will continue making it, esp as soon as you tell me the rest of the macros! You will need to type the ingredients into a software program like MyFitnessPal. I do full nutrition counts on my current recipes but do not have time to go back and do them for older recipes. As to the net carb count, who is “we” who only subtracts half the carbs and only if they are more than 5 g? That sounds like what the ADA recommends to diabetics. Many low carbers, such as myself, subtract the full fiber. If you do not, then you and I don’t follow the same method. Which is fine, but I do write my blog according to the method that works for me. Thanks for your input! I felt compelled to comment on this delightful recipe, which is not the first of yours that I have made, to say that this is amazing. Just amazing. I have yet to make anything of yours that I haven’t thoroughly enjoyed, and I can say the same for my low-fat eating boyfriend — everything has been positively great. But this dessert in particular, which I made kind of on a whim because I happened to have everything on hand, was so good that I found myself excited towards the end of the work day because I knew it was waiting at home. We ate it faster than we meant to, and I’m actually making not only another one, but a slightly re-carbed version for the extended family at Easter this coming Sunday. Thanks so much for all you do. At the risk of being a ridiculous commenter, I first began low-carbing a decade ago, right before it became a fad. But at that time resources like yours were few and far between, so in this post-fad era, you are quite literally a godsend. Thanks so, so much, for everything you do. It clearly means a lot to a lot of people, and I am no exception! Ryan, thank you so much. Not ridiculous at all. Makes me feel like a million bucks! I hope you still answer these. Would using stevia be ok? Other people have used stevia but haven’t had perfect results. Stevia and chocolate together often taste very bitter so the brownie part is more of an issue than the cheesecake part. But you are welcome to try! ok great thank you both. I also have the truvia baking mixture so I might use that instead this time. I have been using stevia for the brownie part of the cheesecake and it has been divine. I use a mixture of stevia and xylitol for the cream cheese layer, as I like the granulated sugar, and it is delicious! But try it with just stevia. Just wanted to share the calorie breakdown on this. What do you mean about the truvia? The baking blend truvia I got has 2g carbs for 1/2tsp. It ends up making the carb count for this way higher than expected. I looked at the swerve she linked in the post and it has about the same (4g per tsp) is there something I’m missing?? This recipe was awesome!! I made it yesterday to refrigerate it overnight for our family dinner tonight and took a small sliver while slicing it. Soooooo delicious! I am also so thankful to have found and begin using Swerve as a sweetner alternative. It bakes wonderfully and doesn’t leave that bad “diet” taste other alternative sweetners leave. (As you can tell, I’m really picky :)) Anyways, can’t to try more recipes with swerve, my new best friend! Thank you Carolyn! Hi! Couldn’t figure out how to leave a comment without replying to a previous comment… Anyway. I made the cheesecake portion of this for a Father’s Day surprise today, used swerve and made it exactly as called for, and it’s just perfect! Rich and creamy and tastes just like cheesecake. I didn’t have almond flour (all out! Oh no!) and my dad isn’t a chocolate fan, so I made a thin crust with coconut flour, melted butter, vanilla extract, and cinnamon. So good! The cool creamy cheesecake was perfect with the spicy bite of the cinnamon. Thanks so much for an excellent recipe! I found swerve at my local health food store, I’m very glad I bought it now! It is expensive, but it bakes so well. I have given up sugar 6 months ago so I am always on the look out for recipe such as this one. And I love cheese cake. So for me, the cake cooked perfectly well at the temps and time stated. I used Truvia (1 to 3 ratio). My daughter, who still eats sugar, thought it wasn’t sweet enough. I thought it was great. The base was very good although I would use slightly less butter. The cream cheese part tasted good but was not cheesy enough for me so I would increase the amount of cheam cheese next time. Carolyn, every recipe I make of yours is over the top! Made this today. Holy moly, yumm. I have your ceddar jalapeño crackers in the oven now. Thank you for making low carb easier! Carolyn, thank you so much for this recipe! I’ve made it twice now and both times it came out DELICIOUS. I especially like the brownie layer – do you think I could double the recipe and bake longer to get thicker brownies that could be served/eaten by themselves? I made this on Sunday night and let it set up in the fridge overnight before eating. It was delicious, however not what I was expecting. My brownie layer came out more like a thick chocolate crust. Any ideas where I went wrong? Thanks for making such fabulous recipes! Do you mean crust as in crunchy? If so, sounds like it got over-baked somehow. Most people find that it is too gooey and doesn’t bake firmly enough so I wonder if your oven runs really hot. Yes it was crunchy. I also had a pool of butter between the foil and the springform, so now I’m thinking it may be the almond flour I used. It says “finely ground” but maybe it wasn’t fine enough. It was still gooey in the middle and just starting to set up on the sides when I took it out. I did have to cook the entire cake about 25 minutes longer than the recipe (cheesecake would NOT set!) so this may be the culprit too. Thanks for the reply! Ah yes. I think your problem is the almond flour and because it was coarsely ground, the butter/oil leached out. You really need Honeyville or something like it. It makes a huge difference. If you used Bob’s Red Mill brand, then that was the problem. Everything I make with that almond flour comes out with a consistency of dry cornmeal. If you can’t get Honeyville, I have found a brand called JK Gourmet that is comparable quality. I used Bob’s Red Mill and it came out perfectly. I can’t get my hands on anything else in the grocery store. I have not had any problems with it but I have read that many people seem to get poor results with it in many other recipes. I would recommend getting your oven checked…it sounds like it might be baking unevenly. I have a dual fuel stove…gas cooktop and electric oven. I think gas ovens tend to bake unevenly. You have to put your dishes exactly in the center with nothing else in the oven and hope for the best. Also, when I made the brownie portion I drizzled in the flour mixture slowly then the melted chocolate mixture very slowly. The brownie turned out perfectly without separation. I also used parchment paper instead of the foil. It is quite a nice recipe! I love your recipe. My daughter made this and it was delicious. My spin is that I like a hint of lemon in my cheesecake. My “sugar” recipe has lemon juice in it. I am adding two packets of “True Lemon” to the recipe to see how it fares. Thanks for this great recipe. Thank you! Wil definately make this more often! Made it- omitted the nuts and added a scant tablespoon of instant coffee granules for a mocha brownie base. I swapped out the Swerve in the base for an erythritol/stevia blend, and in the cheese filling for some liquid Splenda and liquid vanilla creme stevia. I just don’t think it could BE any more delicious! I will probably be making this to take to Bible study in the near future. Thanks for sharing! Haven’t made this yet but is on my to do list. Explain buttering the pan and wrapping bottom in foil. Do you wrap the outside of the pan in foil or is this inside before you pour batter in. Made it today. Just had a sliver yum yum. Can’t wait till later when I’ll have a real slice. I don’t get the “wrap bottom of pan in tinfoil.” I’m assuming you mean the outside of the pan…not the part that was buttered. I’m not usually this dense but I’m just not seeing in my mind’s eye what you want us to do. I’m making this Saturday morning for my dessert. 🙂 Lucky me!! Ohhh yummmyyy… Am on keto and this double cake is fabulous… I follow the recipe on my first try but didnt have a round pan. So I use a long rectangle one..It turned out good enough. For the base, i used pecan nuts as I couldnt get macadamia and cacao nibbles. It gave a delicious crunchy base. I think my brownie base turned better than the cheesecake..so last night I made just a brownie chocolate with the same ingredients…and man, that was delicious too.. Thanks for the recipe..(am lucky to live in Ireland and have full hands on kerrygold, and other butter.. You should also try French butter..they are delicious too: president butter, beurre d’Isigny if you can get in the US). Guernsey butter is also very good. So I made the cheesecake and it was amazing and didn’t last very long at all. And since I thought the brownies were so good, I just made that part on its own, topped with peanuts and your caramel sauce. I’m trying VERY hard to not eat the whole pan. I have not found a low carb brownie recipe I’ve liked, but this one NAILS it. Oh man, topped with peanuts and caramel sauce. You make me want to make that right now! You need to take a photo next time and send it to me! 🙂 Then I can share your creation with my Facebook fans. Thanks for motivating me to finally use my spring form pan that I’ve had sitting around for 2 years. I made this for my fiancé for Valentine’s Day (along with your no bake brownie bites) and it turned out SO GOOD. I cannot believe it’s low carb, it’s so decadent and tasty! Just wondering if anyone has used Sweet Blend in this recipe. If so how much for base and filling? Pam, I am wondering the same thing! I just stumbled across this recipe today and it sounds delicious! I wouldn’t want to mess it up though by using too much or too little. Paige, I don’t want to waste anything if I can keep from it. I made pan bread yesterday and we didn’t like it at all so the trash it went. Question though how many calories in a piece?? Yep, that’s the tough part! Do you use My Fitness Pal? That’s a good place to run ingredients through to get calories. I now calculate them for recipes but haven’t gone back and done this old one. I’m new to low-carb baking, but I’ve made this cheesecake twice and it’s fantastic. I wanted to share some tips for others like me who may have felt overwhelmed by this recipe at first (like I said — not used to baking without sugar or flour). I subbed 1/4 cup of Truvia for the Swerve in both the crust and the filling, and it turned out great. It was plenty sweet for me, and I have a serious sweet tooth. I also have no idea what a Springform pan is. The first time I made this, I used an 8×8 metal baking pan and just cut the cake into little squares like brownies. The second time I used a regular pie pan. I forgot to use foil both times but did spray pan with cooking spray. Also, I only had almond meal, not almond flour, and the crust held together perfectly. So even if you don’t think you have everything you need, this recipe seems to work well with some substitutions. Hubby likes it! I think it tasted bleh. I followed the recipe very closely and used the amount of sweetener etc. Texture is beautiful. It just doesn’t taste sweet to me at all. Hubby says it tastes like the real thing ! I’m glad of that and I have something I can make he enjoys. I was wondering if the granulated erythritol here plays a role in the texture of the cheesecake and the brownie or is it to just make it sweet? I was tyhinking of using stevia, but then the measurements would have to be changed and it would be good only for the sweet taste because it wouldnt work for the texture. What do you think? I think it would work with just stevia. I made this yesterday for a party, cut it into small bite sized bars. It was perfect! People loved them! I assume that I could safely sub mascarpone for the cream cheese? Nice to meet somebody else who eats butter on its own. Have you ever tried proper Breton butter from France? 80% fat + 2% sea salt crystals + 1% regular salt = crunchy, salty, best butter I’ve ever eaten. I’ve made this twice now and practically ate the entire things (not all at once – very rich!). My best friend and sister both drooled over it too. And now I’m back looking for something else. Thank you so much! Net carbs are total carbs minus fiber. In the US, they treat fiber as a carb whereas in many other countries, they do not. So many low carbers subtract the fiber to get an “effective” carb count. As a diabetic, you have to decide for yourself how to treat carbs and fiber and what works for your blood sugar. For me, fiber seems to have little effect in my glucose levels so I subtract it. When is the pre-order for Twelve Tablespoons of Butter going to be made available? Kudos! Can’t wait to try this tonight! Can I use Splenda instead of Swerve? If so, do I use the same amount? Depends on which Splenda you are using…if it’s the baking blend, I think that’s meant to measure exactly like sugar. So does Swerve so you can sub in the same amount. Just made this today, but the brownie batter was chunky. Some of the fat separated out while it baked, like when chocolate is overlooked, but that wasn’t the case–my butter/chocolate mixture was smooth and had a nice sheen. I made this today, not my first low carb cheesecake but the brownie was irresistible to try. No matter how long I mixed that much butter would not mix into the rest of the batter. I literally had to pour off excess butter before and after cooking. I measured all the ingredients by weight. Just an observation, next time I would only use 4 to 6 tablespoons worth of butter. Something wasn’t right there. What brand of almond flour did you use? Because that should not happen and I stand by my ingredients and amounts. Do i need to butter the bottom of the spring form pan before I put foil on or should I butter the foil on the bottom after putting it on or neither? Just making this for the first time and want to make sure I’m getting it right. Thanks so much! The foil does not go on the bottom inside of the pan. It only wraps around the outside. So simply grease the inside as normal. We are no longer doing keto but low carb (grain and sugar free almost always maybe occasional gluten free grain). Would this not be ok for us with the fat content? We aren’t high carb like we used to be. I don’t think you have to be keto to benefit from low carb and high fat. Thank you! Do you still eat 70-100g quality carbs per day? Hi! i’m a french girl trying to adapt your receipe to french ingredients and measures. I would love to try this beautiful cheesecake for my Type1D daughter an my other celiac daughter! Please can i replace your Swerve by sucralose ? What is the size of the cup you use to measure butter, flour ?? I did this wonderful cake today with xylitol it was perfect! Thank you so much for this receipe. I was thinking about doubling the recipe and making it in a 9×13 pan. Do you think that would work? Would you double the recipe in that scenario or one and a half it? I’d do 1.5x the recipe. I think doubling might be too big. This is my favorite desert with THM. The brownie batter alone is so yummy. I bake mine with half xylitol and half pyure and it comes out great. I also on one occasion only used half a pound of cream cheese so it was more a brownie with a cream cheese frosting. SO YUMMY!! I know this recipe is older, but I’m hoping for a little bit of advice. I am looking to make a strawberry cheesecake with this recipe. 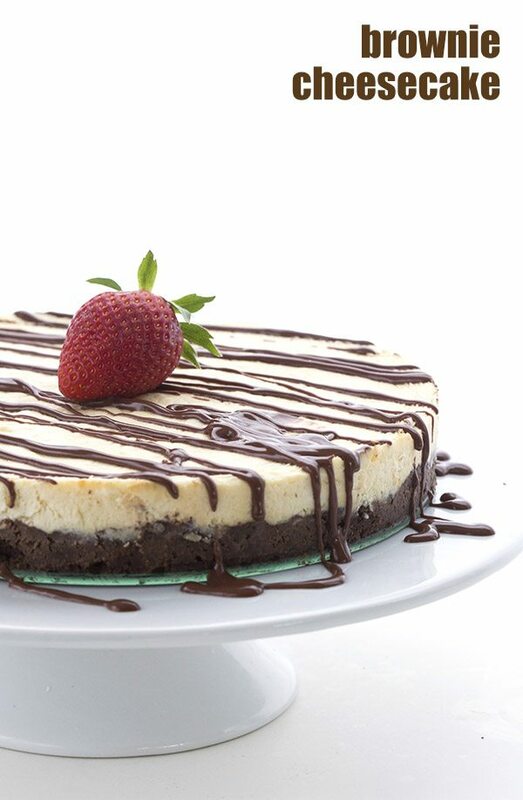 If I make the puree from your “Low Carb No Bake Chocolate Covered Strawberry Cheesecake” and add or swirl it in, would it make the cheesecake too wet to set? You are planning on baking it? I think if you swirl it in, it should work. I am planning on baking it. Thanks for responding so quickly! I’ll be trying it this weekend. Thank you Carolyn for this absolutely amazing dessert. I lowered the fat somewhat by using the super lowfat cream cheese by Kraft. To brighten things up and to please the boss’s wife, I made a sugar free raspberry sauce and simply drizzled a few tablespoons over perfectly sliced wedges (no mess). My dessert served 10 and EVERYONE complimented me on it. I shall, no doubt make it again and again – an elegant delight. Win, win, win!! I have been a Type 1 diabetic for 56 years (am now 68) and certainly enjoy working with your low carb recipes. I made this yesterday for my husband’s birthday. And it turned out awesome, delicious and amazing??? I also drizzled some keto caramel sauce on top. Heavenly. Thank you. Right now mine cooks perfectly at the 35 min at 300 (and then I just turn off the oven and let it cool in the oven so it won’t crack) but I would like to double (or 1 1/2 times) the cheesecake portion of this as its is very thin. How much additional cooking time do you think it would need? I don’t know but probably at least another 10 to 15 minutes. Made tonight. Awesome! 8 people had a small slice, still have over 1/2 cake left. Will try freezing it. So I found this recipe on another blog. She does credit in one tiny sentence once that the original recipe came from all day i dream about food, but the recipe is almost exact. All she did was omit walnuts (which i personally think is a mistake) and she changed the sweetener to truvia. When you click to print that copy only credits herself and doesn’t even mention the original recipe. Can bloggers do this? What happened to actually creating your own recipes? I hate when food bloggers just ride the coat tails of other bloggers by producing the same product someone else spent hours to create throw in a tweak or two and then take most of the credit. It’s shameful!! It’s certainly in poor taste, for sure. Do you have a link to the blogger who did this? I will reach out and see if she’d be amenable to changing it. Have you made this as cupcakes? If so, how many does this recipe make? how much brownie/cheesecake in the cup? How long to bake? I have not made it as cupcakes. Sorry! I made a half recipe of this and it turned out wonderfully. The brownie is delicious while it is still warm! I also took half of the cheesecake filling and added some peanut butter(for those who don’t mind the extra carbs!) and it was great as well.. Thank you! Hi! I want to try what you did – 1/2 regular and 1/2 with peanut butter added. What size pans did you use? Did it change the cooking time? Thank you for this delicious recipe! This was our Christmas dessert for this year. I used the THM sweetener chart to use Gentle Sweet and it was perfect. I made this for Christmas and didn’t tell anyone that it was low carb till after it was gone. It was Awesome! It turned out beautifully and was extremely delicious! I drizzled some low carb chocolate sauce on top and added a few almond slices to make it look fancy. ? I forgot to add that I used xylitol for the sweetener. This looks absolutely delicious, and I love finding desserts that can freeze well so that I’m not tempted to eat them all too quickly! it. However, I’m not a big fan of nut chunks in my brownies. If I leave them out, do you think I’d need to add any additional almond flour for bulk, or should it be ok with just skipping them? You can totally leave them out for this recipe. I talked hubby into making this for my birthday this year. Lucky me! It tasted great. Loved putting a little sugar free peanut butter on a piece too. Would love to know which ganache recipe people like to put on top of this. I wasn’t fond of the one I tried. Any suggestions? Can i use any sweetner? I have stevia. I just dont have the money to buy another sweetner. I wanna make this tomorrow. Im craving cheese cake sooooo badly. You can use stevia in this. What kind do you have? To keep the oils from leaching out of the base and dripping into your oven. I made this over the weekend and I must have done something wrong. I didnt have a springform pan (going to order that now) but used a Pie pan 9 inch, deep dish and lined it with parchment paper. I also only had lankato erythritol with monk fruit for the sweetener. My brownie part never really seemed to set on the sides so I just had to pull and put the cheesecake filling on it and then cook again. The texture was very grainy once completed and the brownie was very dry. I am sure I overcooked it but the flavor was good. Iw ill have to try again but with a different sweetener and springform pans. I want that fudgy brownie base. It should be quite fudgy and you really don’t want it to be fully set to achieve that. A springform pan is pretty important to this, because a pie pan won’t allow you to cook it as easily and not have it be fully set, if you know what I mean. Not sure the sweetener was the issue here, I really think it was more likely the pan. Thank you. I will try again with my newly purchased springform pan. ? I put all the ingredients into a recipe calorie count. That’s what I got with a serving size of 10 for those asking about calories and this shows even less carbs. This was amazing! I keep thinking that it just has to go against the keto way of eating! So good! Will definitely make again for special occasions. This dessert is fabulous!!!! It amazes me that it is low carb. The ketogenic lifestyle is fairly new to me, but I have to say I have not missed carbs one bit and I have been eating much better, tastier foods. I just made this – AGAIN! It’s always been so popular that it’s a favorite for me to take to group get-togethers. Yay! I thought it was time for a wee update to make my most popular recipe a little prettier! Just wondering… does the carb count include the chocolate sauce? The photograph is misleading if the chocolate sauce isn’t included. Perhaps you could list it with or without the chocolate sauce. No the carb count does not include the chocolate sauce. Because it all depends on how much chocolate sauce you want to put on it. That part is up to you. Hi there! This looks amazing and I can’t wait to make it!! I’m not a huge fan of nuts though and was wondering if they were optional or not?? Thanks! In the oven now and hoping it turns out. Once I popped it in I realized I did not put the heavy cream in 🙁 Hoping it still turns out. How did it turn out without the heavy cream? Curious. This looks amazing! I think I’ll be making it this weekend. I’m wondering, though, for those who don’t care for the texture of almond flour could coconut flour be substituted for the almond flour? You can certainly try. Add only 1/3 the amount of coconut flour. My daughter has a nut allergy, what can I use instead of almond flour?? All I can say is YUM!! Made this last weekend, and me and my husband had a piece. It was good but my husband said it lacked something. I put the remaining pieces in the freezer for another weekend. So finally revisited this dessert today, and after defrosting the cake, I topped each slice with a quick raspberry sauce consisting of frozen raspberries cooked with a little swerve. That took the whole thing to a new level. The tartness of the raspberry perfectly counterbalanced the sweetness of the cake, and the flavour really went well with the chocolate brownie. Delicious! First of all, thank you for the awesome recipe! The cheesecake is truly incredible. I feel like a lot of recipes that promise a keto version of an old favorite (especially desserts and breads) end up being sad and disappointing, but this tasted just as good—if not better—as the original! I do have a quick question, though. The first time I made this, when I went to add the melted chocolate/butter mixture to the rest of the brownie ingredients, the chocolate seemed to seize up. Is there a way to prevent this or was it just a fluke? They may have been over-microwaved or over-heated a bit. Or it could have been the cold eggs making it clump up a bit. Hard to say but if you’re having trouble, melt the butter and chocolate double-boiler style (heatproof bowl over a pan of barely simmering water) in the future. It would be almost as good as fresh! I have frozen many a low carb cheesecake. Absolutely delicious! Made this for a dinner party, was a huge hit with adults as well as children. I added chopped pecans to the brownie batter and also added them to the top of the cheesecake layer and then drizzled the chocolate sauce over all. Was a beautiful presentation. Will definitely keep this recipe in my LC file. Thanks! This was dangerously good!!! Everyone loved it. You seriously would not know it was low carb, sugar free etc. Only problem is that I can’t stop eating it!!! ? Seriously though, thanks for all of your wonderful recipes. You are an amazing chef! My sister and I make this for her husband’s birthday. We only added slightly more sugar than recommended. We also put it in a water bath because that is how I always make cheesecake. I will be making it again this weekend for my dad! Thank you for the great tasting recipe. Noone would know it had a sugar replacement!! Hi! I am makimg this right now, and just have a quick question. I was able to get the swerve to dissolve in the cheesecake portion, but for some reason, it would not dissolve in the brownie portion. It is very grainy and mealy looking in my mixer. I used finely ground almond flour, swerve granulated with some confectioners subbed in (i ran out of the granular), and everything else the same. Any idea why the swerve would dissolve in the cheesecake part but not the brownie? Also wondering if this will come out more like a crust because of that… thanks!! It should be fine once baked. I’ve just made this cheesecake for the first time – I’m waiting for it to cool down. I’m not sure what it’s going to taste like, however, I licked the bowl clean of the cheesecake mix and it was FABULOUS – so rich and creamy. So if that’s any indication of what the baked cake is going to be like, I can’t wait to get into it! Do you use Swerve granular or powdered for this recipe please? Thanks! If it doesn’t specify powdered, then it’s the granular. This is the bomb! Thanks! I made this last night. We have backyard chickens and their eggs are pretty small. Your recipe called for 2 eggs in both the brownie and the filling. Since our eggs are small, I used 3. I’m new to backing. Is this logic correct? Also, my brownie layer is much thinner than yours. Any idea what happened? Thanks in advance. That sounds about right on the eggs. I have no clue why yours would be thinner. Is your springform pan wider than 9 inches in diameter? No, ma’am, I bought a 9″ springform just for this recipe.. guess I’ll have to try again with store bought eggs. I didn’t think that’d throw it off..
Can lakanto monkfruit/ erythtitol be used instead of swerve? I couldn’t find swerve granular locally so it’s being shipped and I don’t want to wait to make this! If so, what’s the conversion? Thanks!! I think Lakanto measures like sugar, as Swerve does, so it would be the same amount. Thank you! I always thought lakanto seemed so much sweeter, even though it says 1:1, I always use half! Thank you for this great recipe! The brownie base is delicious on its own. I overcooked it, however. There was liquid on the top so i keep baking it longer, too long. What temperature and cook time would you recommend for the brownie base alone? Thank you! Use my search box for “brownies” and you will find a bunch of my recipes that give you instructions for just the base. I made this for my non-keto family in order to participate in the festivities. This dessert is by far the BEST cheesecake I’ve ever tasted (backed by my husband). I ended up with gooier crust, so I used it to “swirl” when the cheesecake mixture pushed it up along the edges. Made for a very ‘fancy’ looking cheesecake. It did take much longer to cook than suggested, but no bother. My dad, who isn’t a sweet fiend, even requested this for HIS birthday. Positively WONDERFUL recipe, thank you!! I made this last weekend and my 20 yr olds scarfed it down..having no idea it was sugar free. Now they want me to make it again. It was to die for. My mom is diabetic, so I used your recipe for her birthday cake, and we love it! It is absolutely delicious! I was doing the carb calculations for my mom, and we were getting held up on the Swerve. If we follow the recipe, the 1 1/4 cups of Swerve (3/4 in the brownie and 1/2 in the cheesecake) have us at 240 grams of carbs in the whole cake (4g per tsp which amounts to 60 tsp in the 1 1/4 c used for the recipe) and 24g per piece if split into 10 pieces. I followed the recipe exactly, but in the Swerve alone, we go way over the 6.71 g in the recipe notes. Where am I going wrong? Please tell me it’s in my calculations and not that this recipe is too good to be true! the only way you are going wrong is actually counting the Swerve as carbs. Although it technically has carbs, they have zero impact on blood sugar as they get excreted in the urine without ever entering the blood stream. I have tested this over and over on myself and it holds true for me and for most diabetics. So they need to be subtracted from the total carb count. Would this work in a paper lined cupcake pan? I like grab and go snacks and it’ll be easier for me to control my portions that way. I can’t see why not, I just don’t know what the baking time will be. Start with less and watch them! Hello! Baked this but as I didn’t have unsweetened cooking chocolate, I used maltitol cooking chocolate and omitted the sweetener in the brownie base. For the cheesecake, didn’t have swerve and added erythitol instead. That sounds awful and yes, I think the maltitol sweetener is to blame here. Ugh, maltitol is awful because even though it’s a sugar alcohol, it tends to raise blood sugar as much as real sugar does. Sorry it didn’t work out. I baked this wonderful Brownie Cheesecake for the first time last night and tried a small slice of it after lunch today. WOW! No wonder it’s so popular. This cake is so rich and delicious it can be cut into 16 servings and no one would feel shortchanged. This recipe’s a keeper! Thanks Carolyn. I’m always amazed that you’re able to make such gorgeous, decadent recipes low carb! This would be fantastic for our New Year’s Eve party. Gah! What I wouldn’t give for a slice (or two!) of this cheesecake. So yummy! I’m not sure where you got your calculations, but this is DEFINITELY NOT low carb, and your macros listed for 10 servings are WAY off!!!! I would like you to tell me where you came up with those macros at, because according to my calculations, which I have checked 3 times, there are 35 net carbs, 34 grams of fat, 8 grams of protein, and 370 calories PER SLICE!!!! Hi Lisa. This recipe is indeed low carb and my macros are spot on. Sounds to me like you are counting the carbs in the erythritol, which, if you know anything about low carb sweeteners, has zero impact on blood glucose so does not count as a carb. As I have diabetes, I actually test my blood sugar and I see this on a daily basis. I can eat a slice of this cake and not have my glucose go up at all. I use MacGourmet, which is a paid software system that pulls nutritional information from the USDA database. I also have a disclaimer at the bottom of each post which clearly states that I do not count erythritol into the totals because of its unique properties. Will the low fat cream cheese work for this recipe? Thanks! What brand is it and is it supposed to measure like sugar? I think it’s Great Value brand. I’m not sure how it measures like sugar because i through the bag away. I’m new to this Keto way of life. I’ve learned a lot, but still have much more to learn about sweetners and there substitutes. Can’t wait to delve in to your site!! Thank you. I got sooo excited about this recipe with so many great reviews. Too many desserts that i’ve tried have been such a let down in taste. I made this yesterday for my son’s 31st birthday party. It was AWESOME!!!!!!!! I made this today. It has a terrible after taste. I didn’t have Swerve, so I used Stevia/Splenda. Would this have caused it to have the after taste? Yep…stevia and chocolate together are often bitter and I am not a fan of the aftertaste of Splenda. This is the firsy time i have ever commented on a recipe. Needed to share my love for this creation. I modified the recipe by using 1/8 cup coconut flour instead of almond flour, due to nut allergies, and made 12 mini cheesecakes in muffin tins. Baked the brownie bottoms in muffin liners for 10 minutes, then added the cream cheese filling and baked for 15 minutes at 300. Absolutely amazing. New to keto and loving every minute of it, especially when I find recipes like yours, thank you so much! How much should I adjust the baking time if I want to double the cheesecake filling? I don’t know, I’ve never done that. So you will have to just keep adding time until it’s done. I just made this in Operation Replace Sweets. My man is low carb but indulges in traditional processed sweets one time a week. I plan on replacing them with keto versions and I am working on replacing his bread with a lower carb version. I am Keto, so this recipe works for both of us. This tastes like cheesecake. Nothing funky. The brownie base is thick and dense and I believe it makes the dessert. It was not complicated to make. The one draw back…giving it time to cook and then set in fridge 🙂 If anyone is wanting a good keto cheesecake I can say this one was a good fit for us. I made this today. I can’t believe how delicious it is. Rich and sweet! When I tasted the brownie batter and filling I thought it might not be sweet enough after it was baked, but actually I might decrease the sweetener a little next time, and there will be a next time. It’s a weird feeling to eat a small slice of this and not want more and more and more, and not feel shaky from all the sugar. Bless you for all you do to bring us these healthy and delicious recipes. I tried a keto diet 10 years ago but couldn’t keep it up because there was very little info on the web, and very few products in the stores. I’m starting it again and I feel much more confident that I’ll be able to keep it up. My endocrinologist will be very happy, too! Wonderful! Good luck you can do this. I only found your site a couple of days ago and I am completely hooked! Everything looks wonderful and very helpful to a keto person. Thank you for your time and effort to create beautiful, delicious and best of all, low carb recipes that looks and taste like normal food. Made this yesterday for a “birthday” cake. Yum, rich and delicious. I think next time I will make a raspberry sauce instead of the chocolate sauce, to make it not quite so rich. However, that chocolate sauce is to die for. I’ve been putting it in my coffee! I plugged all ingredients into myfitnesspal as a recipe and I show 18g carbs for one serving. Not sure where you are getting your 6g of carbs from. I even removed the pecans from the recipe. I did notice that the Swerve is pretty carb heavy compared to pyure bakeable stevia. Am I entering something wrong? It’s counting the erythritol…which has zero carb impact. I test my blood sugar and it doesn’t even move the needle at all. Have you tried cooking this in the instant pot? What do you think the results would be? Well, you need a smaller pan for an IP. I have a Pecan Pie Cheesecake for the IP and you could follow the instructions for that, but you need to cut down amounts for the crust and the filling here. O. M. G.!!! This is easily my favorite and most decadent Keto dessert of all time and I’ve made well over 50. What a fantastic recipe! I’m a recipe tweak-er and I followed this one to a tee and will every time. It’s perfect…texture, sweetness, density, and all. This looks fantastic. My son couldn’t decide between brownies and cheesecake for his birthday treat. This does it all! Saves me a lot of work making two desserts, and looks gorgeous and festive too! Score! Haven’t made it yet, so can’t rate it. Will come back. Okay, well, this didn’t work out for me. I think I cooked the butter and chocolate too long or too hard, as the butter separated from the chocolate to some degree and was floating on top. I tried to pour it off and the whole brownie crust flopped out in chunks. And that was after cooking it quite a bit longer than called for. I ended up putting it back into the pan and cooking it til it was a brick basically. Decided to forego making the cheesecake top, since the bottom was so hard. May try again at some point. If anyone has any tips, let me know! Hi Karis…sounds to me like you over-baked it. It’s not supposed to be cooked through when you take it out, because it gets baked again when you put the cheesecake on it. Please follow the instructions, it will work much better, it’s fudgy and dense that way. As for the butter floating on top…it will often reabsorb but this also could be what brand of chocolate you used. Which one was it? If I don’t specify powdered, then it means granular. Haha, oh dear. Tasty still, thank goodness, but definitely not brownie-like! I made this for my birthday and it was amazing!!!! Thank you so much for this recipe!!! You are the best!!! It really should be still a little jiggly in the very center but not totally jiggly. It’s hard to say why…could be your oven. Could be your eggs, could be a little too much liquid in your batter for some reason. Try cutting down on additional liquid. Your No Bake Brownie Cheesecake Bars (Recipe in Cookbook) is great also. Just finished the last one, but have ingredients for the next!! I have never had a failure with your recipes! Delicious! Made this tonight for our anniversary treat and it was everything I was hoping for. I followed the recipe except I did not have any nuts to add into the crust so I omitted those. I did have to bake my a bit longer for both parts but I think that’s due to my oven. Thank you for this wonderful recipe! NO DESSERT COULD TOP THIS. By far the BEST cheesecake I have ever had. Its mind-blowingly good. Nothing pairs better than a classic brownie cake with a rich cheesecake. OMG. I want moreeee. What would I do without you Carolyn? Your recipes are always a SUCCESS. Love you and your work. My mom made this for me for my birthday cake! It was amazing! Thanks for the great Keto recipe! I looked at the link for the chocolate you used, but wondered if there was a good substitution I could get at the local grocery store that would work just as well. I want to make this tomorrow and can’t order the one you linked to in time. Thanks in advance. Love love following you. Yes, you can use Ghirardelli, which is usually sold at grocery stores too. I don’t use Baker’s chocolate because it’s often seizes. Hi. Carol. I love your recipes. Thank You. I made this cheesecake. It had a wonderful flavor. The only thing is my crust was “gritty”. I used regular erythritol. Would powdered be better? When I use Swerve, it’s never gritty but if you are using regular erythritol, that may be an issue. So yes, I suppose powdered would be better. I made this for my birthday and it looked amazing and tasted good but was a bit rich for me. I’m in Australia so I used Natvia (stevia & erythritol blend), which measures spoon for spoon for sugar and seems similar to Swerve. I realised that I didn’t have enough so I only used 1/2 cup in the brownie mix & 1/4 cup in the cheesecake (Australian cups = 250ml so 3/4 of that) but it was still too sweet for me. That could also be because I used Lindt 70% mild chocolate in the brownie mix because I can’t get unsweetened chocolate here. If I make it again, I’ll definitely reduce the Natvia to about 1/2 cup in total and maybe halve the brownie recipe to make a thinner brownie base. After 26 years with type 1 diabetes, I’m just not used to sickly sweet American brownies. The good thing about it is you only need a small piece – I’d say it’s at least 12-14 serves. To be honest, it’s the Lindt – too much sweetness altogether. I have never used Natvia but I understand it to be similar to Swerve. So since you couldn’t follow the recipe as written it’s not really the recipe that’s the issue here. Hi there!! I just made this cheesecake last and when it got done it looked very good I should say that it looked good the whole time I had made it though when I got it out of the oven and let it chill there seems to have been something that I did wrong or use swerve granulated sugar sweetener and there seem and when it got done it looked very good I should say that it looked good the whole time I had made it though when I got it out of the oven and let it chill there seems to have been something that I did wrong or use swerve granulated sugar sweetener and there is a bit of a kick almost like sour when I tried it. I followed the recipe step-by-step and I’m not sure what is causing this bitterness it almost is a maybe as though the artificial sweetener has caused the bitterness do you have any tips of what I can do next time I make it ? I am dying to get it right because everything else taste great it is just the little bitterness that you get. And for providing great recipes – it makes his way of living, ketogenic lifestyle, a lot easier!! Hello! 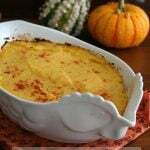 My hubby and I just started the keto diet and this recipe seems absolutely perfect. However, as I was cooking I kept track of the carbs of each ingredient and arrived at a much higher carb count (371 carbs). At 10 servings, it is about 37 carbs per serving. I followed the recipe exactly, so I’m not sure where the disconnect is. I am not an avid baker, so is it possible that carbs change when baked or is it something else? Thank you in advance! The disconnect is that you are not removing the erythritol carbs. They don’t raise blood sugar and as I state clearly in all my recipes, I do not count them at all. What are you using to track it? My Fitness Pal? That one you can set somehow to not count erythritol. Can you use a glass pie pan or a muffin tin for mini cheesecakes? I hope I didn’t just make a fatal mistake. I was distracted by my husband and didn’t see that the recipe said to cool the brownie for 15-20 min before adding the cheesecake filling. I thought it was strange to pour over it while hot, but I did anyway. Some of the brownie floated into the cheesecake. I’m so disappointed. I was making this for my birthday tomorrow. Is it ruined? Please respond while I still have time to make another one. Oops! Not sure what to say… it will still be tasty but if the bottom was floating up then I don’t think here is a way to rescue it. MacGourmet and yours probably comes out higher because it’s counting the erythritol. It has zero impact on blood sugar and so in my nutritional disclaimer I clearly state that I don’t count it at all. It shouldn’t even be considered a carb. Hi again. I’m Trying to figure out Keto and cooking at the same time, i’ve never been good at cooking and only slightly better at baking. 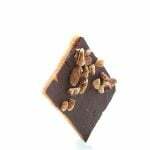 Moving forward… if I wanted the crust to be thinner and resemble a chocolate graham cracker crust could I just use a small portion of this brownie recipe? I am hoping for a bigger ratio of cheesecake to crust. Or should I double the cheesecake filling and cook for longer? What is your suggestion and how would the baking times need to be adjusted? Thanks for recipe my family enjoyed. Very rich tasting. Made this for a work lunch, and everyone said they wouldn’t know it was sugar free if I hadn’t told them. Instead of Swereve, I used 1/2 cup of Truvia in the brownie and 1/3 cup of Truvia in the cheesecake. It turned out perfect. The cooking times were spot on, too. I wanted to check with you…. I am finding conflicting information. I want to use Pyure instead of Swerve (because I have it on hand. Some sites are saying to use half the amount. Others say equal. Seems like a big difference!! I have already made it once with swerve and LOVED it!!! Scared to mess it up the second time around!! You are finding conflicting info probably because there is more than 1 version of Pyure. The regular one is 2x as sweet as sugar so you only use half. The “Bakeable Blend” is meant to be used cup for cup. Swerve measures exactly like sugar so base it off of how sweet your sweetener is in relation to sugar. I made this tonight and it was delicious! Thank you for sharing. I would like to know what kind of cocoa powder do you use? I’ am looking forward to baking this recipe! I try to use really quality brands like Rodelle or Ghirardelli because it bakes better. I cook A LOT and I am rather critical of recipes until I tweak them to make them my own. Having to go low carb/ keto for health reasons, I have been working to find a dessert that will be my go to when we have to make and take, and for our own enjoyment as well. This recipe, just as it is, is nothing short of fabulous!! Thank you, thank you from the bottom of my cooks heart. This one will save me over and over, I have no doubt. I am the same way so I tip my hat to you. Thanks so much! Due to being slow at all the measuring and mixing (I’m visually impaired), would it work to use Good Dee’s mix for the brownie base and only have to mix the cheesecake portion from scratch? Also, I’m wondering if I can use the Vitamix to blend the cheesecake ingredients to make sure it is completely smooth? Thanks! Yes to both counts but you don’t want the full brownie mixture for the bottom, it’s supposed to be thin, about 1/2 or 2/3 of a regular brownie. I’d make the Dee’s and then put some in a ramekin or two and bake it along with the brownie bottom. Thank you so much for your quick reply and for your tips. 🙂 Love your site and creativity with your recipes. Forgive me if it’s a silly question (new to baking) but if I don’t have a springform pan, can I use a 9 in glass pie dish? Thanks so much! You can but it may be tougher to get nice slices out neatly. Super-forgiving recipe for cheesecake AND Keto newbie. A friend on a Keto diet came to dinner and after looking at probably 100 recipes, I settled on this cheesecake and your no sugar chocolate sauce. I know I made mistakes in preparation, but the result was delicious. Our friend went home with another slice of cheesecake, a diabetic friend loved it, and my husband and I marveled at the lack of icky aftertaste from the sugar substitute. Thank you for sharing these recipes! Could you use coconut cream instead of heavy cream? I don’t know, I haven’t tried that. I only have an 8 inch springform pan. Do you think that would work if I adjusted the baking times? Thank you so much for your beautiful recipes! Yes, it will work but yes, you will need to bake both portions for longer. The crust will probably only need about 5 more minutes… it won’t be cooked through before you add the cheesecake topping and you don’t want it to be. The cheesecake…. that one you will have to watch carefully and see how long it takes. This is truly an amazing keto dessert. My family/ extended family loved it and didn’t even know it was keto. Wish I could find an amazing Keto Bread recipe. Wow! Thanks for the quick response. I’ve tried so many bread, recipes on Pinterest and also Maria Emmerich’s bread and we’re not sold on them at all. We also need to find amazing keto pancake and waffle recipes. If you know of any please let me know where to find them. Thanks for sharing your awesome recipes and your time. I made your brownie cheesecake for a potluck birthday party. It was a big hit and nobody suspected it was both gluten and sugar free. There was none left to take home alongside the high carb and sugar brownies, oatmeal cookies and lemon bars. It was delicious. Thank you!! I made this cake for my co-workers birthday. She is on a low carb diet and I wanted to help keep her on track. I was great, very rich, but a good cheesecake should be. Everyone in the office loved it. Thank you for posting the recipe. I also want to note, I love baking and I don’t usually skimp on the essentials. My baking consists of full fat and full sugar, in my opinion full taste. 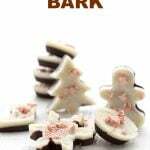 This recipe showed me that you can get the treat without all the sweet. Thank you, Robyn, for coming back to tell me that.